In a large bowl, combine all the ingredients. Season with salt and pepper. Add the chicken and toss to coat. Set aside. In a bowl, combine the vegetables and oil. Season with salt and pepper. 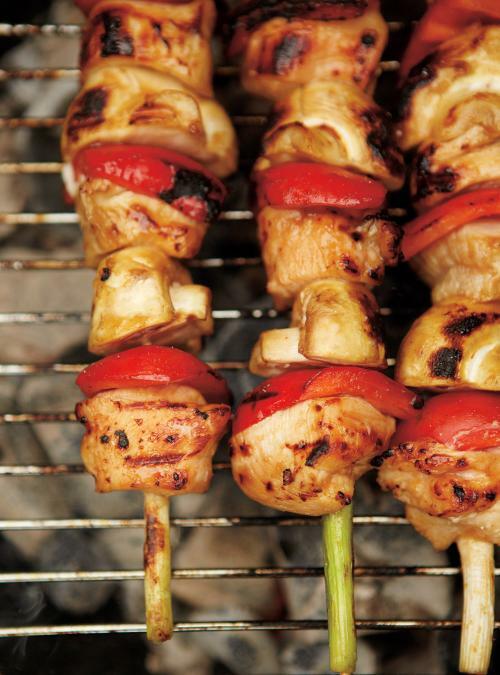 Thread the chicken onto the skewers, alternating with the bell peppers and mushrooms. Thread the green onion sections at each end of the skewers to prevent the wood from burning. 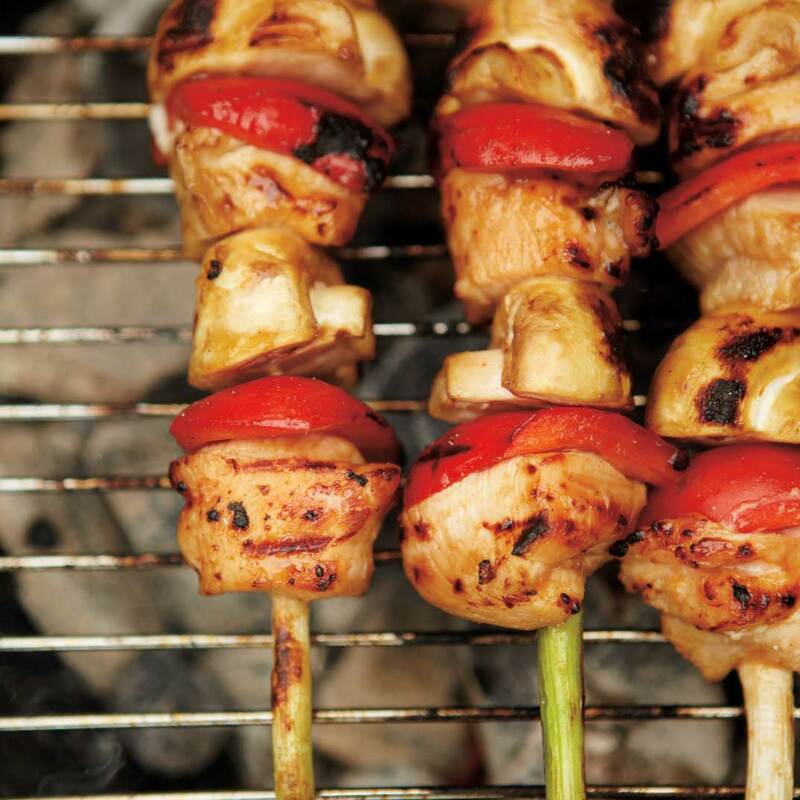 Grill the skewers for 4 to 5 minutes per side or until the chicken is cooked through. By covering the tips of the skewers with green onions, you do not have to soak the skewers in water to prevent them from burning. Sweet marinades caramelize quickly and burn easily. For long cooking, it would be necessary to use the indirect cooking method. Served this to dinner guests. Everyone raved about it. This one is a keeper!